We have assembled a uniquely remarkable team of senior-living professionals at Discovery Village At Naples. Each one has extended experience and education in their fields of service and bring with them a deep passion for assisting seniors to live happier, longer. We invite you to learn more about them below. Then click the blue buttons on the right to schedule a time to personally meet them. It would be their pleasure to discuss your needs and show you why Discovery Village At Naples is the right place for you to call home now and for years to come. Come and enjoy the fun with Discovery Village At Naples! 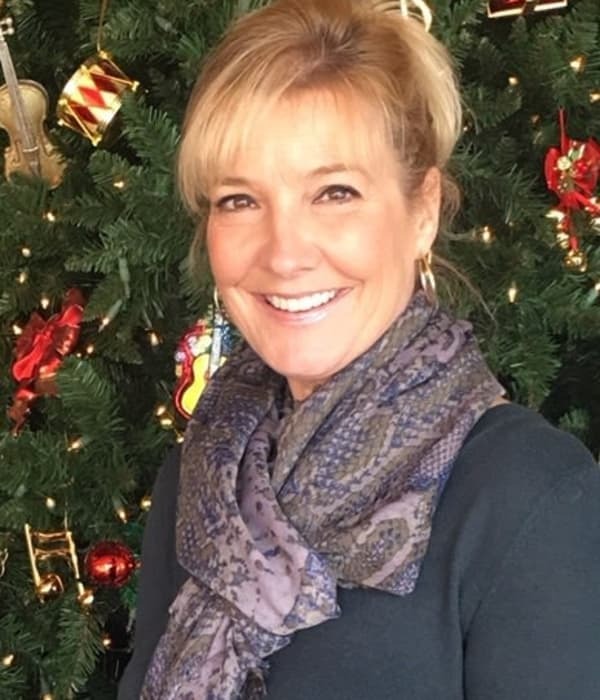 We invite you to join us for lunch or dinner with our new Executive Director, Carla Davis and learn more about our unique lifestyle programs and award-winning senior living communities. Ms. Davis has over 30 years of leadership experience in the Senior Living industry. She attended the University of Northern Colorado where she received a Bachelor of Science in Gerontology. She is also a Certified Director of Assisted Living. Ms. Davis has held several different positions in Skilled Nursing Facilities, Continuing Care Retirement Communities and Assisted Living Communities over her career. From a very young age, Ms. Davis knew that Senior Living was her life's passion and has spent her entire career serving seniors. Ms. Davis lives in Naples and when not spending time with her fiance, grown children, and granddaughter, she enjoys traveling, boating, walking, and watching the sunset. Ms. Davis is very excited about the opportunity to serve the wonderful community of Discovery Village At Naples. Meet our Executive Chef Scott Estelle! Chef Scott loves preparing fresh meals for our residents using healthy, local ingredients. Chef Scott draws his culinary inspirations from his world travels, which gives his cooking a Mediterranean flair! 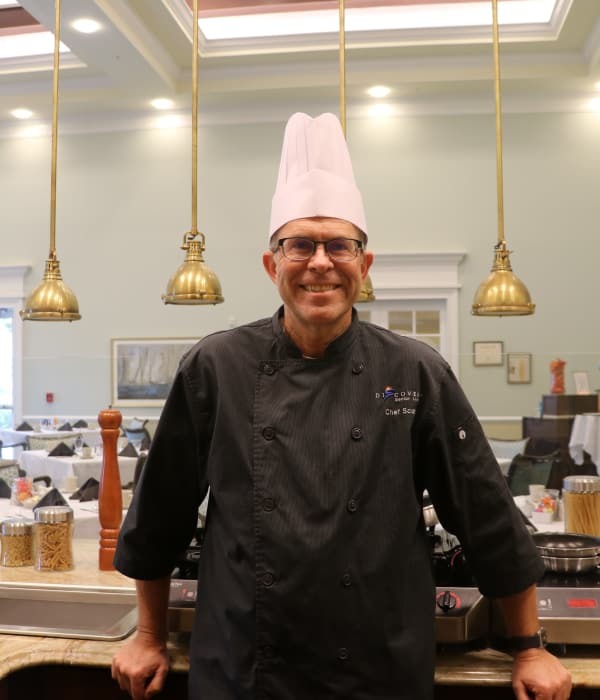 Chef Scott happily incorporates resident recommendations into his meals, and honors any dietary restrictions or personal preferences they may have! Chef Scott began working in restaurant kitchens at the age of 15. He found that he enjoyed developing his palette for flavor profiles and participating in the rush during service that required a high level of concentration. Chef Scott loves working with the residents daily at Discovery Village At Naples and receiving their immediate feedback of the meals. He appreciates the challenge of exceeding the expectation of meals served. Join us for a tour of our community and enjoy a chef-prepared gourmet lunch on us to get a taste for life at Discovery.